Undisclosed security breach impacts facilities in the U.K.
UPS air cargo may be delayed this week as officials work to resolve security issues that caused service stoppage in some UPS facilities in the U.K. last week. The concerns came after the U.K.'s Department for Transport reviewed UPS' operations during a scheduled review and found security flaws in its practices. UPS says it can't reveal specific details of the security flaws found, but says it is working to correct them. The Department for Transport also has declined to disclose what security requirements UPS failed to meet. The ordered stoppage delayed "the movement of packages," UPS notes, but the mail carrier expects operations to be back to normal sometime this week. Periodic reviews of UPS' network are routine, UPS notes, adding that it works with various private and governmental organizations around the world to ensure the safety and security of its network. "UPS continues to work with all agencies around the world to maintain and enhance security and to balance the necessary protections with the free flow of commerce, just as we have always done," UPS says in a statement. UPS's practices have been under scrutiny since March, when the Department for Transport launched an investigation, following the discovery of fake bombs on a UPS flight from London to Istanbul. According to news reports, that package was not discovered until it reached Istanbul. Legislation forces postal employees back to work. 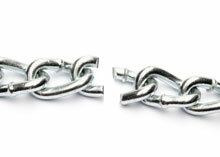 Full lockout impacts domestic, U.S. and international shipments. Co-branded labels allow buyers and sellers to track shipments from China. Package exchange program aims to streamline merchandise returns.